Another NBC Bay Area investigation is prompting legislative change. The California Senate Natural Resources and Water Committee on Tuesday voted 7-1 to approve a bill that would require safety training for boaters. This comes after the NBC Bay Area Investigative Unit discovered that boaters who are inattentive or inexperienced cause the majority of California boating accidents. In addition, California lays claim to the second highest rate of boating accidents in the nation. Despite these statistics, California is one of only five states that does not require training of any kind to operate a boat. That would change under SB 941. The bill, co-authored by Senators Bill Monning (D-Carmel) and Mark DeSaulnier (D-Concord) would require boaters to pass a safety course and obtain a vessel operator card from the Division of Boating and Waterways in order to operate in California. If passed, the legislation would take effect in 2018 for boaters under 20, and gradually expand to apply to all boaters by 2025. Last summer the NBC Bay Area Investigative Unit found California is one of only six states in the nations that does not require training to operate a boat. Elyce Kirchner shows how lawmakers plan to change that in a video report that aired on April 8, 2014. “This is something we should have done a long time ago,” DeSaulnier told NBC Bay Area. Operating a boat without proper training is a safety concern that Karen Wilson discovered in 2002 after losing her daughter Leigh Anne, 24, in a boating accident at Clearlake. 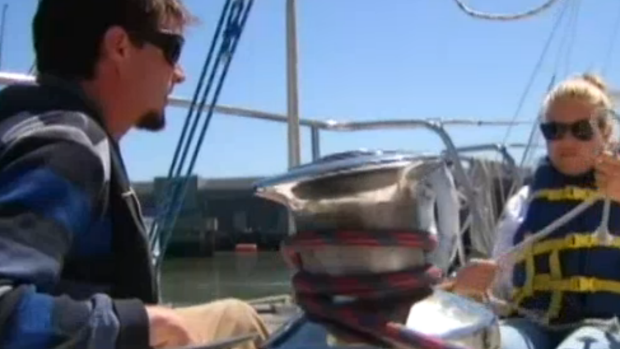 “Operator vessel education would have saved my daughter’s life,” Wilson told NBC Bay Area. She believes the person who was operating the boat had no safety education and didn’t see her daughter in the water when the boat ran her over. Wilson shared her story in front of lawmakers at Tuesday’s hearing, hoping to raise awareness for this issue. “It can get crazy if people don't know what they are doing and accelerating the boat,” Wilson said. In recent years, several attempts have been made to pass similar legislation, but failed to make it through the legislature. California State Sheriffs Association, California Yacht Brokers Association, Recreational Boaters of California (RBOC), and has no registered opposition at this time.